Now, when most people think about Hempfest, the images which spring to mind are merry revelers sporting giant pot leaf necklaces, plumes of smoke, and rows of vendors selling paraphernalia. But while everyone at Greenside knows those images are somewhat accurate, we also know Hempfest is a serious event with an overtly political purpose. Because while Washington State voters overwhelmingly chose to legalize recreational marijuana back in 2012, nationwide, Hempfest is a potent reminder that the fight to end marijuana prohibition is far from over. For a quarter of a century, the country’s largest “protestival” has actively worked toward reforming the United States’ drug laws, and to celebrate its 25-year anniversary, the organizers have set its most aggressive agenda ever. Over the course of three days this year, Hempfest speakers will use the event to call for a host of common sense measures aimed at bringing cannabis into the mainstream, while also demanding authorities begin making amends for the catastrophic toll the drug war has taken on our country. At the top of the platform is a call to remove marijuana from the Federal Controlled Substances Act, where it currently sits alongside dangerous drugs like heroin, branded as having no medicinal value. The platform also includes provisions to release those imprisoned for non-violent cannabis offences, the use of proven cannabis-based therapy in hospitals, and workplace protection for legal cannabis users, along with financial reform aimed at helping retailers like Greenside gain access to proper banking services. Of course, there will also be stalls of vendors, music, and food trucks. 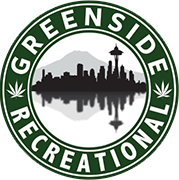 But attendees can expect enforcement of Seattle’s current ban on smoking in public, so it’s a good idea to swing through Greenside before heading out to the festival. Our friendly budtenders have plenty of options to help you stay elevated in front of the man. For a full breakdown of everything happening August 19th, 20th, and 21st, head to the official Hempfest site. We’ll see you there!